A while back, my friend Steven Wedgeworth wrote an outstanding essay over at The Calvinist International on the origins of Halloween. It’s an annual must-read. The gist is that Halloween is not some ancient pagan festival or even Christian subversion of demonic shenanigans (as a lot of Christian writers have claimed over the years). The truth is far more boring. Halloween as we know it is really little more than a 20th century invention designed to sell stuff. “Darkness” here is ill-defined. What does it mean, exactly? Things we consider icky? That will vary from person to person. I know people who don’t watch or read “The Lord of the Rings” because it’s got too much “icky” stuff in it. They’re missing the best Christian fantasy of the 20th century. I’ve said this before and I’ll keep saying it: Christians who object to Halloween are, nine times out of ten, objecting to aesthetics, not morality. We’ve confused the two, and you see the result in evangelical churches. “Dark” aesthetics are not allowed, and neither is mournful or darker music, which has historically been a huge part of the Church’s worship and liturgical life. The longtime evangelical reaction against the plastic, sugar-saturated, commercial shindig we today call Halloween is really a test case in the tendency of many Christians (I’m going to say it–particularly moms) to mistake ickiness for evil. It’s an aesthetic-based morality that sees spiderwebs and jack-o-lanterns as harbingers of Satan. The Bible seems to hint at rather the opposite. Evil often presents itself as beautiful, and Satan as an “angel of light.” There’s more real evil in the radiant, smiling face of a false preacher than there is in all the latex zombie masks that will show up on my doorstep next week. Sure, there are limits. I can definitely see the case against decking your yard to look like a chainsaw massacre took place. 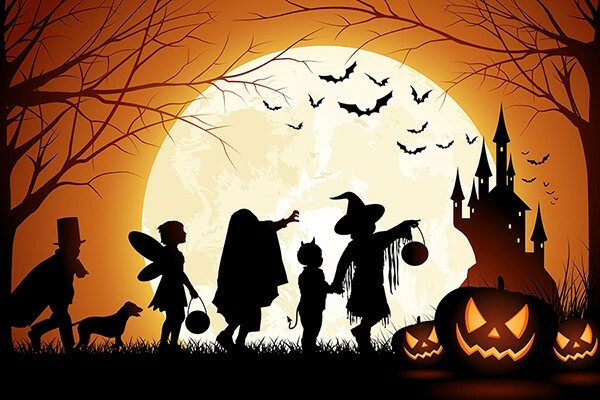 But the objection to Halloween’s “spooky” aesthetic seems to rest mainly in a conditioned Christian preference for the “happy, clappy,” Precious Moments kind of wholesome–not on a reasoned moral stance.